IDEA Public Schools is thrilled to announce the launch of IDEA-U, an online, flexible, supportive, and affordable college option designed to support IDEA alumni whose full lives, changing work schedules and family obligations have not allowed them to finish college. This program is part of IDEA’s newest strategy to reinvest and recommit IDEA alumni on the road to and through college and help them attain their degree. 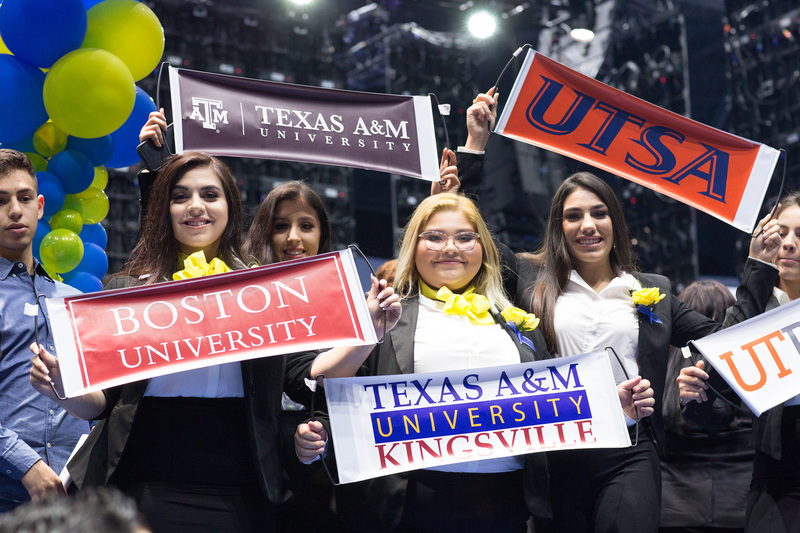 IDEA-U is expanding the college experience for IDEA alumni in the Rio Grande Valley. IDEA-U will utilize an online, project-based learning model, which will allow students to accelerate the time to degree completion. To cater to IDEA-U students’ busy schedules, the office is open during business hours, nights and weekends. All IDEA-U students will meet regularly with a mentor (College Completion Advisor) on the road to a college degree. The IDEA-U office is set in a secure, comfortable space where you can work and learn, conveniently located in the center of the Rio Grande Valley. IDEA-U students pay $5,500 a year for tuition and fees, with no hidden costs or additional fees. If applicants qualify for a full Pell Grant via financial aid, they will pay nothing out of pocket. IDEA-U offers support to help potential students figure out if they’re eligible for scholarship opportunities. Galilea Zapata, an IDEA alumna, has desired to obtain her bachelor’s degree since graduating from high school. Currently, she works as a personal trainer and is really excited about the prospect of becoming an IDEA-U student. “As a student at IDEA-U, I will be able to immerse myself in that driven and motivated IDEA culture,” Galilea said. “I took classes at UTRGV, but unfortunately had to pause my education due to family obligations. At IDEA-U, I’ll be able to transfer my existing credits over and continue my journey towards a bachelor’s degree." Visit www.idea-u.org or sign-up for a 30-minute coffee conversation to learn more.